Can you spot yourself on the walls of Southampton? 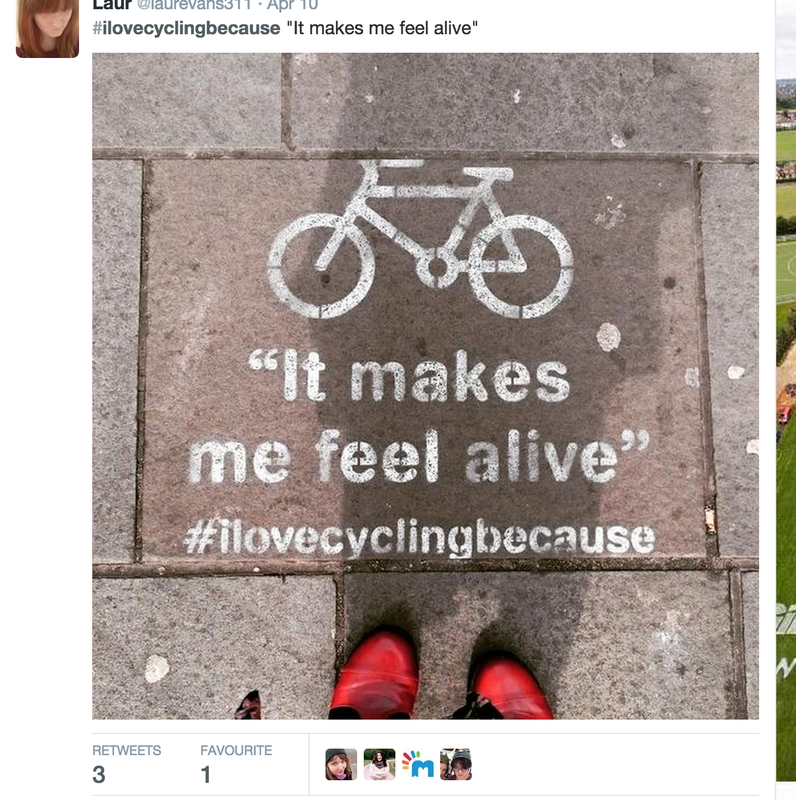 For the past few months we have been asking you why you LOVE cycling! You may have already seen the fantastic message wall which we created in Southampton for My Journey Hampshire. 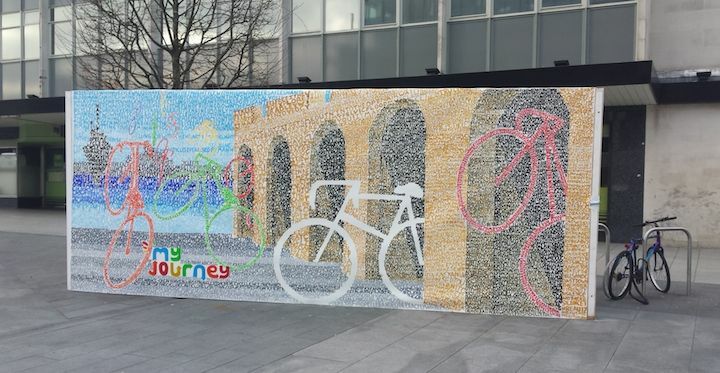 This wall brought together hundreds of quotes from local people about why they love cycling and turned them into a fantastic mural depicting a Southampton scene. We loved the quotes so much that we decided to create some Projection Advertising installation to remind us of how much the UK loves cycling! We then decided to project this love onto some of Southampton’s most popular buildings! Projection Advertising looks best after sundown and immediately draws the eye! You can project any image onto the walls of your city to promote your message. This campaign in particular was designed to increase the cycling initiative in the area and was a fully integrated campaign. We didn’t just create a bespoke message wall to be show cased in a high foot fall area of the city, we also dotted the streets with ecomnomically friendly Chalk Advertising which created quite the buzz on social media! This campaign shows how far you can take your campaign with the help of a bespoke message wall, Chalk Advertising, Projection Advertising, social media and more! Get in touch if you want to find an unusual and engaging way to get your message heard!